Investigations into the huge explosion which rocked central Istanbul’s Sultanahmet tourist district on Tuesday revealed that a 28-year-old suicide bomber of Syrian origin is behind the massive blast, stated Turkey’s Deputy Prime Minister Numan Kurtulmus according to the Associated Press. According to the Turkish daily newspaper Hurriyet, security officials suspect that the ‘terrorist’ attack is ISIS-linked. However, the terrorist group has not claimed responsibility for the attack. The explosion which shook the heart of Turkey’s most populous city Istanbul killed at least 10 and left 15 injured. Turkey’s Dogan news agency reported that among the injured are at least six German, one Norwegian and one Peruvian. On another account, Murat Manaz, an eyewitness told the BBC: “It was a suicide bomb. I went there and saw it and came back to the hotel. There was chaos. Everybody was running somewhere. The blast shook the Sultanahmet historic district which includes the Blue Mosque and the Hagia Sophia at around 10:20 am, Istanbul local time, echoing through neighboring districts. 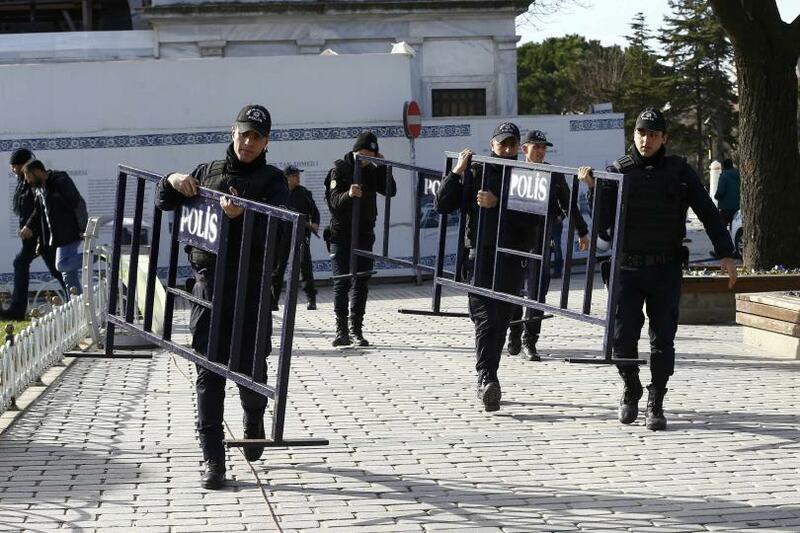 The Turkish police immediately arrived at the scene of the explosion, sealing off the area for fears of a second explosion. Shortly afterwards, the Turkish Radio and Television Supreme Council (RTÜK) ordered a media gag on reporting the incident upon demand from the Prime Minister’s office, local media reported.